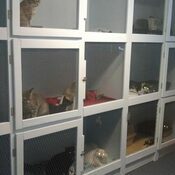 where our feline vacationers stay. 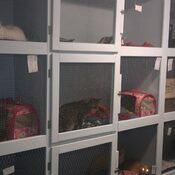 Claws Cottage is ready for you to come in and check it out!! 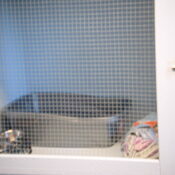 Claws Cottage offers cozy kennels, just purrfect for our fuzzy feline friends. 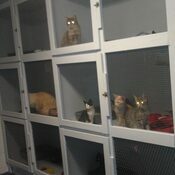 Each vacationer gets free play time & attention in the safety of the Claws Cottage. 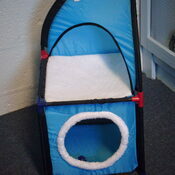 The Cottage is equipped with several perches and a tunnel to crawl through, as well as small toys to chase and play with. 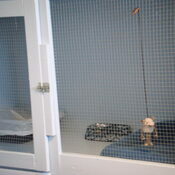 Each vacationer is provided with bedding and toys to keep them comfortable. 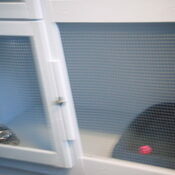 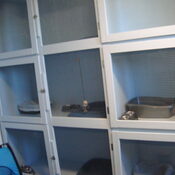 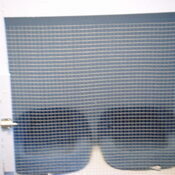 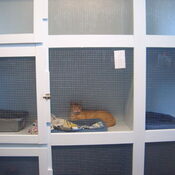 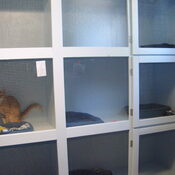 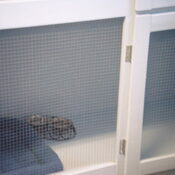 Each kennel is big enough for our vacationer to romp and play or sleep in comfort.